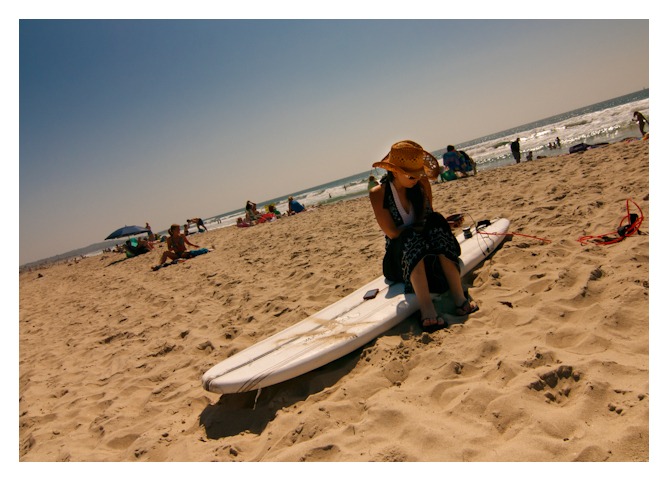 MISSION BEACH – A surfer flips through music on her iPod while perched upon her surf board, waiting for her partner before hitting the waves. Last month I was out in San Diego to shoot a friend’s outdoor wedding, and, in my free time surrounding the matrimonial events, I tried my best to get in a little personal photography. I absolutely love San Diego and the vast array of subjects it offers, and I can’t wait to return to unleash my photographic furry…or something like that.